Looks like Miley Cyrus is going to "stop" after all. The "We Can't Stop" singer has postponed her U.S. Bangerz Tour dates due to her recent hospitalization, the Associated Press reports. As previously reported, Cyrus first cancelled her Kansas City and St. Louis concerts earlier this week. On April 18, she went ahead and cancelled her shows for this weekend. 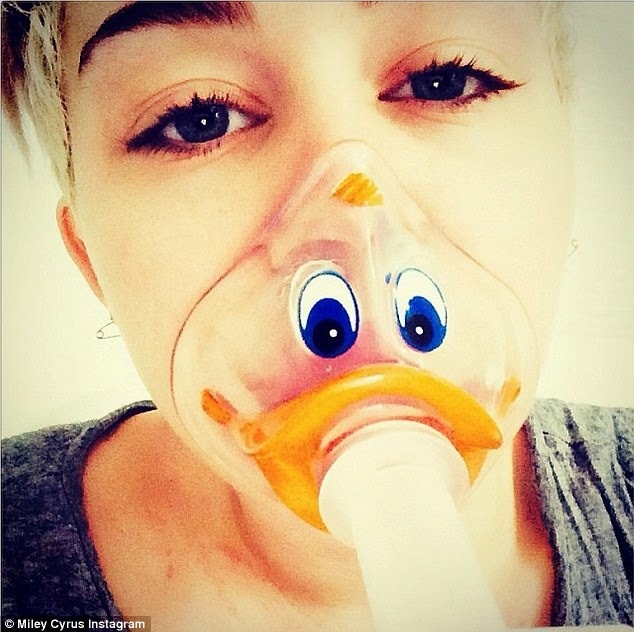 "Miley was suffering from a sinus infection during her tour. She was prescribed the antibiotic Cephalexin, which she's now suffered an extreme allergic reaction to," her official statement read. "Miley is devastated about missing shows and possibly disappointing her fans." Cyrus has been upset during this entire process, and has continued to tweet to her fans about the situation. "Can't quit crying. I wanna go back on tour. im meant to be onstage performing for y'all....not laying in a hospital bed," she wrote on April 17. She also posted her rescheduled tour dates Friday night. Cyrus will resume her U.S. performances in August, and will kick off her U.S. return in Uniondale, N.Y., on Aug. 1. The tour will include seven rescheduled shows and an additional two. Her European leg of the tour has not been affected, and will begin in Amsterdam on May 2.